Berlin may not have the luxury and haute couture of Paris, the world-renowned fashion artisans of Milan or the moneyed clientele of New York or London. Still, there's no denying that the German capital has style in spades nonetheless. A quick glance at the hippest neighbourhoods around town will show that young, trendy locals dress themselves with aplomb, cultivating understated cool and laissez-faire hipness with every monochromatic outfit they put together. And since 2007, Berlin has had a twice-annual Fashion Week, drawing stylish models, designers, buyers and journalists who descend upon the city to check out the best new looks designers have to offer. From the 18th-22nd of this month, trade shows, catwalk shows and parties around town will be teeming with Europe's fashion elite. While most Berlin Fashion Week events are accessible to industry pros only, that doesn't mean fashion lovers have to go without a fix. 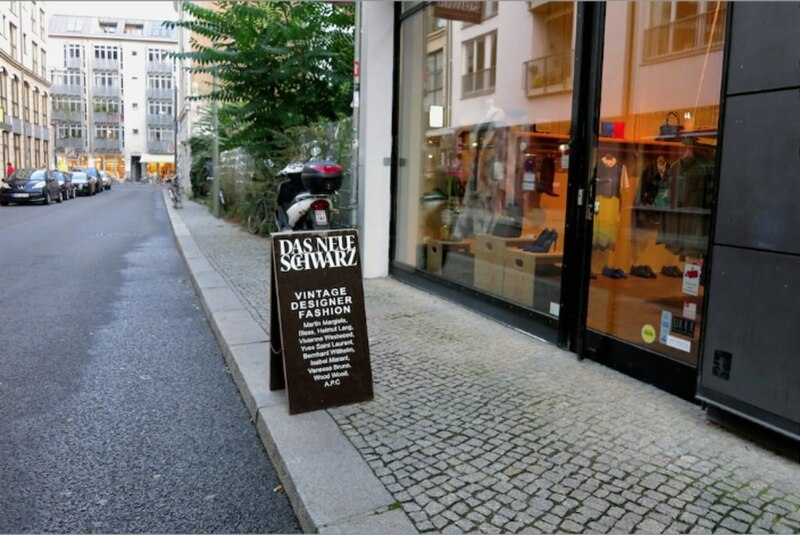 Put on your best outfit and head to the first address for experiencing the local fashion scene: U8 Weinmeisterstraße. In the narrow but densely packed streets surrounding this U-Bahn station in Mitte, local designers and boutiques have made their home, along with international brands like APC, Filippa K and Acne Studios and hip chains like COS, Weekday and Monki. Not only is this neighbourhood the best place to people-watch, gather some fashion inspiration and see and be seen, it is also the place to shop for one-of-a-kind fashion finds. I'm talking about hip, of-the-moment youthful style, mind, not the storied fashion houses like Chanel, Gucci, Prada & co. For those, you'll have to head out west to the Kurfürstendamm area, which has long been Berlin's bourgeois centre for those with expensive tastes and boundless credit cards. Image courtesy of Lala Berlin. In Mitte, start at the flagship store of Lala Berlin (Alte Schönhauser Str. 3), one of Berlin's greatest fashion success stories. Designer Leyla Piedayesh started out in the early 2000s selling hand-knitted pieces at local flea markets and has since gone on to find commercial success with her highly wearable womenswear collections that perfectly embody casual elegance. Her Lala Berlin oversized 'Triangle' scarves, made from the softest cashmere, are an ensuring classic. 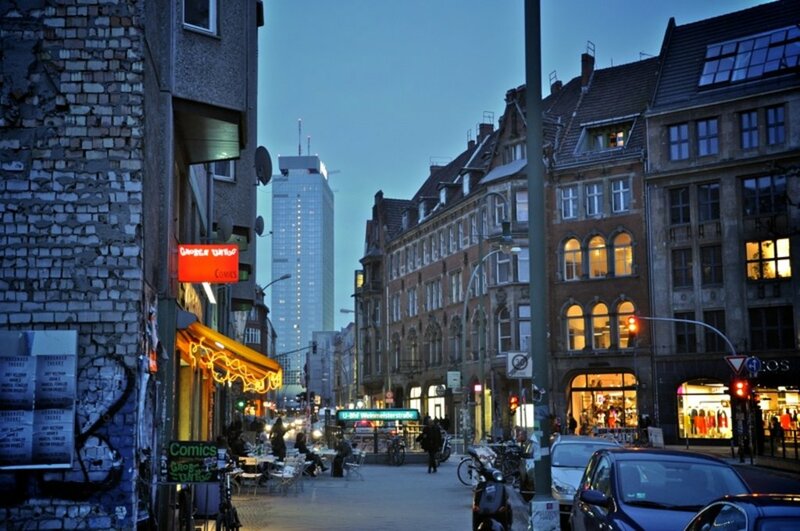 Around the corner on Mulackstraße are plenty more boutiques to discover. Don't miss Baerck (Mulackstr. 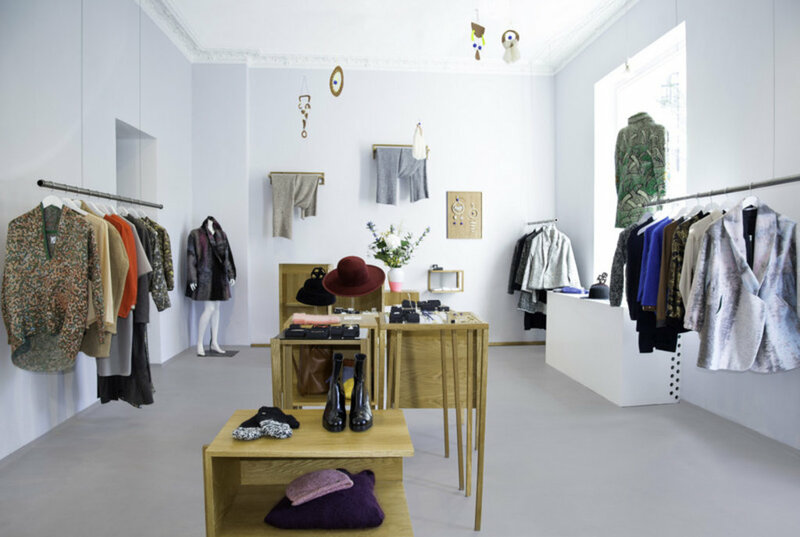 12), which carries a carefully curated selection of womens- and menswear, including local design stars like Vladimir Karaleev, Hien Le and Reality Studio. More adventurous types will appreciate the kooky and colourful avant-garde pieces at Starstyling (Mulackstr. 4). A bit further down the road is Konk (Kleine Hamburger Str. 15), a small boutique dedicated to stocking only local designers. Labels on the racks include Isabell de Hillerin, who creates chic, subdued elegant womenswear with a strong focus on handcraft. My new favourite accessories for the season are the handcrafted brass earrings and cuffs by Elizabeth Leflar. Fashionable men should head to concept store 14 oz. (Neue Schönhauser Str. 13), which carries high-end denim brands and enduring classics like British duffle coats, handsome boots and tweedy hats for dapper gentlemen. Dandies can expand their wardrobe at nearby Herr von Eden (Alte Schönhauser Str. 14) with bespoke suits and eye-catching accessories like leopard-print braces and flamboyant bow ties. Weinmeisterstraße. Image by Robert Agthe via CC BY 2.0 licence. When it comes time to take a break, mingle with the fashionistas at Korean eatery YamYam and refuel from all the window-shopping with a bowl of bibimbap or kimchi stew (Alte Schönhauser Str. 6). Set back in a back courtyard at Münzstr. 21, the eye-catching coffee shop Father Carpenter attracts an equally eye-catching fashion-loving crowd, and is a great spot to stop for a sandwich and a flat white. For even more fashionable mingling with a Moscow Mule or two, Neue Odessa Bar is the nightlife hotspot of the neighbourhood (Torstr. 89). Just make sure you're looking good - you'll have to impress the bouncer if you want to party with the in-crowd. Ready to discover Berlin's fashionable side? Check out our hotel deals to start planning your fashion-forward trip.